In this collection of tutorials created for Maxon’s You Tube channel, I explore techniques you can use when working with Cinema4D Multipass rendering in combination with the After Effects exchange feature of Cinema4D. Taking you step by step through the process, the tutorial starts by covering the basic principles of working with multipass rendering and exporting 3D information from your Cinema4D scene over to your After Effects projects. Ensuring you use the correct colour management for outputting from Cinema4D and configuring your After Effects projects to make sure the files are composited in the right environment. The second tutorial then moves on to some more advanced techniques including the use of Xpresso to export 3D information from specific clones and outputting lights as separate render passes. This information is then imported into After Effects and the 3D data used in combination with third party effects such as Trapcode Particular and Video Copilot Optical Flares. Finally I take you through the process of transferring your After Effects information over to Cinema4D. Using The Foundry Camera Tracker, you will track and solve some footage, resulting in an After Effects camera and reference nulls being created. This camera and null information will be exported from After Effects into Cinema4D and used to build some basic proxy geometry for catching shadows and reflecting the environment. 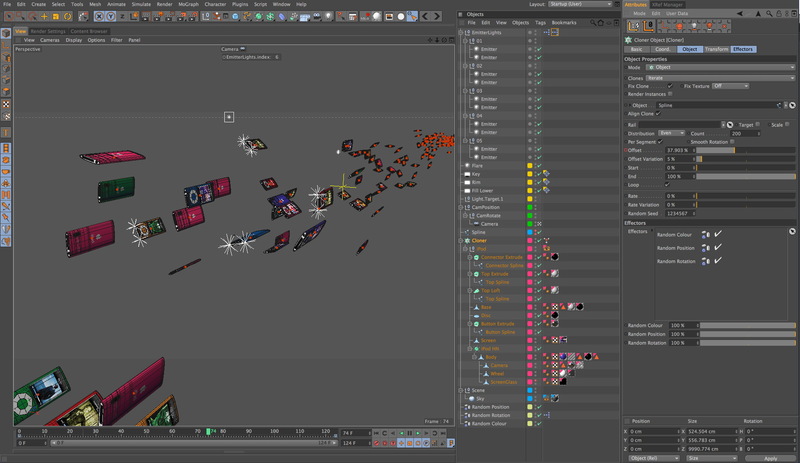 This is then output using Cinema4D multipass rendering and composited back over the original footage in After Effects. The powerful multipass rendering and compositing exchange features of Cinema4D allow you to access the individual render passes such as reflections, shadows and lighting from your 3D scene directly in your After Effects compositions, allowing you to grade and enhance your renders with ultimate control. 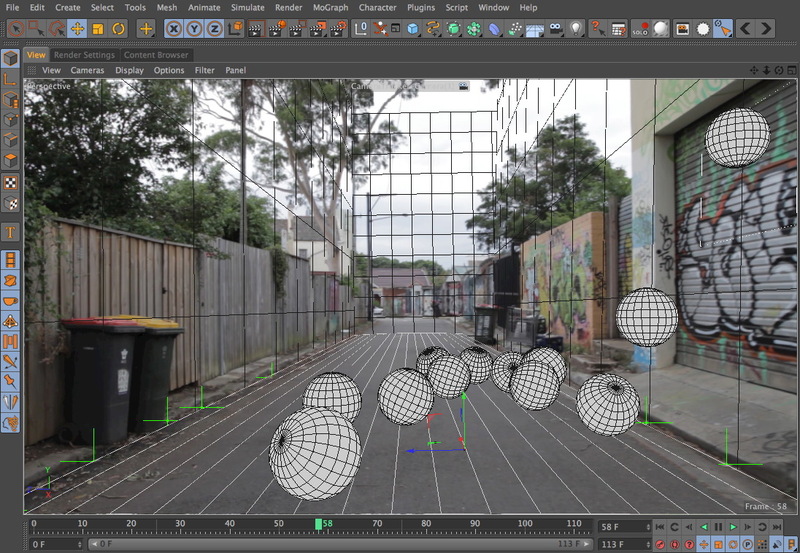 Access to 3D data taken directly from your Cinema4D scene and imported into After Effects ensures precise fidelity between native After Effects 3D elements and rendered elements from your Cinema4D scene. As well as discussing the exchange feature in-depth, I’ll demonstrate many useful techniques for working in Cinema4D and After Effects, including scene management, basic lighting, MoGraph Color shader, MoGraph Multishader, Cloner Object, Effectors, Rigid Body Dynamics and much more. Oh, I think I forgot to mention that all of this is free, thanks to the awesome team at Maxon. The iPod model is something I made specifically for this tutorial, it isn’t the greatest example of modelling, however it is native C4d with lowpoly mesh, hyperNURBS and other generators, it has a UV map and best of all it’s free for use in any of your projects, commercial or otherwise. It would be nice if you do use the model in any renders or on your site if you could please link back to helloluxx. The model is not free to distribute in any form and I’d appreciate it if you sent people to this page instead, thanks. In the first part of the tutorial Tim shows you how to install the Cinema4DAE plugin into After Effects. Walks you through the setup for the free iPod model. 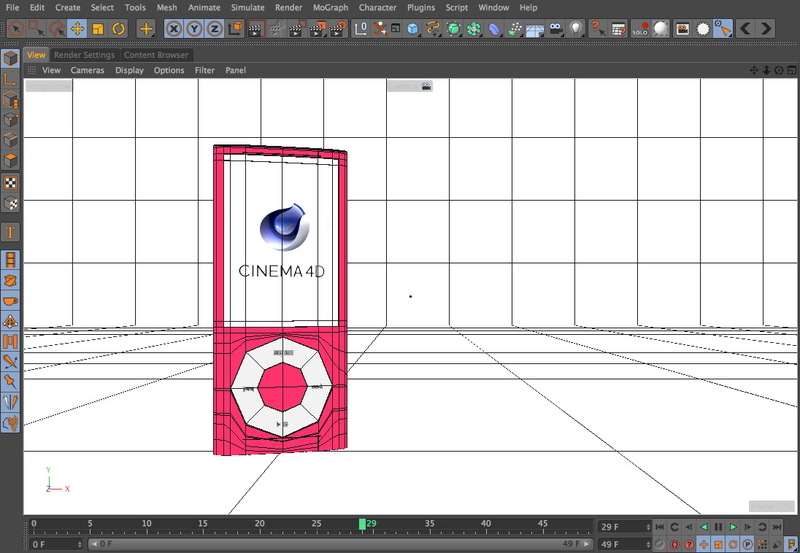 In Cinema4D, you will animate the iPod model and a scene camera, manipulate the animation curves in the F-Curve manager. Create some basic materials and use the Layer Browser for organising the scene. Setting up some simple lighting for the scene. Optimising the render settings for speedy preview rendering. Working with multipass rendering and using colour management combined with Linear Workflow when outputting your renders. Using the compositing tag to isolate reflections to specific objects and assign object buffers. Flight check the render settings in the Picture Viewer to ensure there are no mistakes before committing to the high quality render. 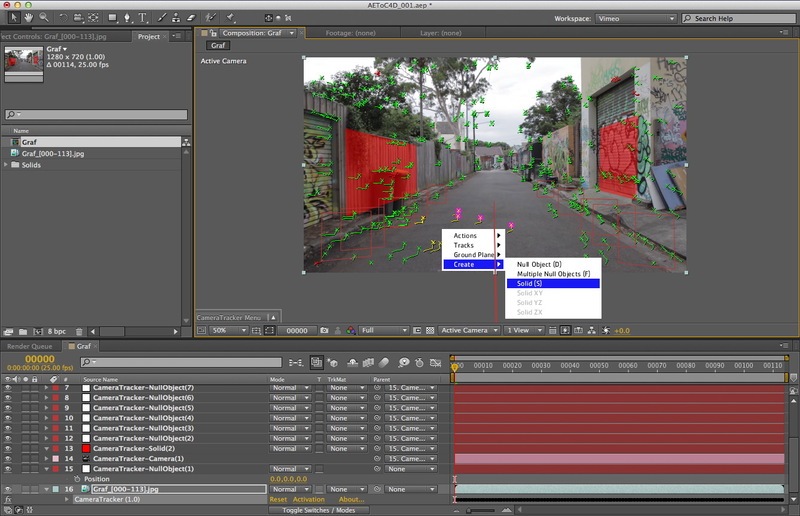 External Compositing tag and AEC export for transferring 3D information from Cinema4D to After Effects. 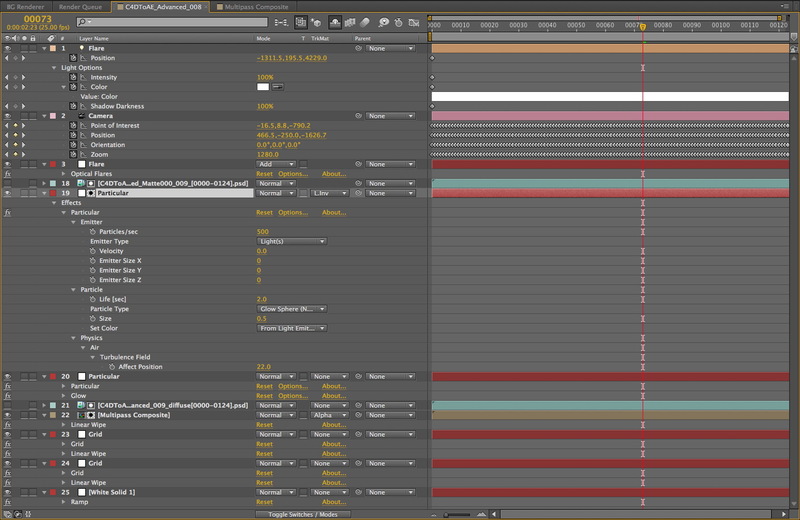 Importing the AEC file into After Effects. Correct colour management settings for working with Linear Workflow and multipass compositing. Screen replacement on the iPod model. Colour correction opportunities. Compositing the rendered shadow and reflection over After Effects layers. Setting up a Cloner Object to create a flow of hundreds of objects along a spline. Using the MoGraph Multishader and the MoGraph Color Shader to create multiple coloured versions of your clones with corresponding coloured screen graphics. Adding variation to the animation with the Random Effector. Animating a camera using nested null objects. Basic lighting. Configuring multipass render settings to output various light passes. Using Xpresso and User Data to determine the index value of clones and then linking objects to the position of these specific clones. Baking object animation using the Bake Objects function. Exporting and then analysing the AEC exchange file. 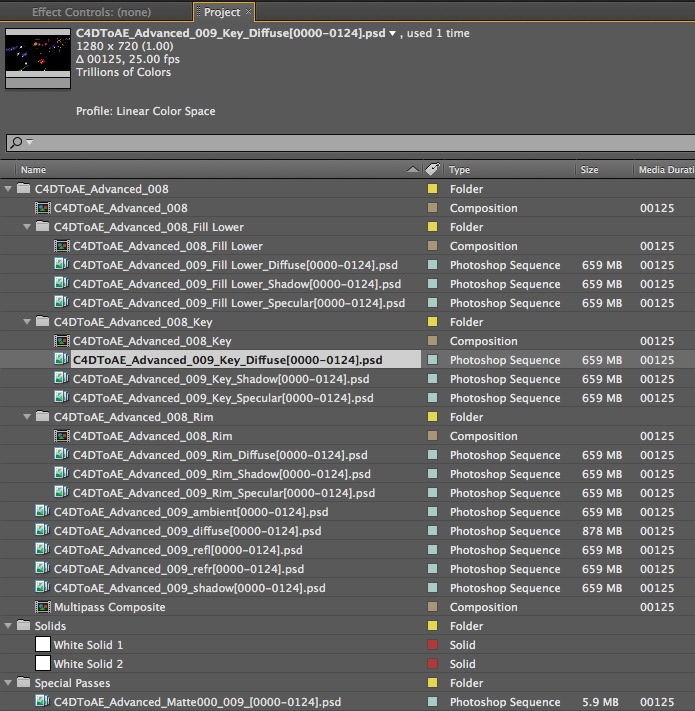 Importing the multipass renders and 3D information from Cinema4D into After Effects. Using the imported lights with Trapcode Particular and VideoCopilot Optical Flares. Adding After Effects 3D solids and effects to match the Cinema4D imported camera. Returning to Cinema4D to explore a technique for isolating mattes from individual objects within a Cloner Object. Using The Foundry Camera Tracker to track some footage in After Effects. Set up a ground plane and reference nulls. Export the 3D information to Cinema4D. Create some proxy geometry in Cinema4D for catching shadows and reflecting onto objects using the reference nulls and solids exported from After Effects. 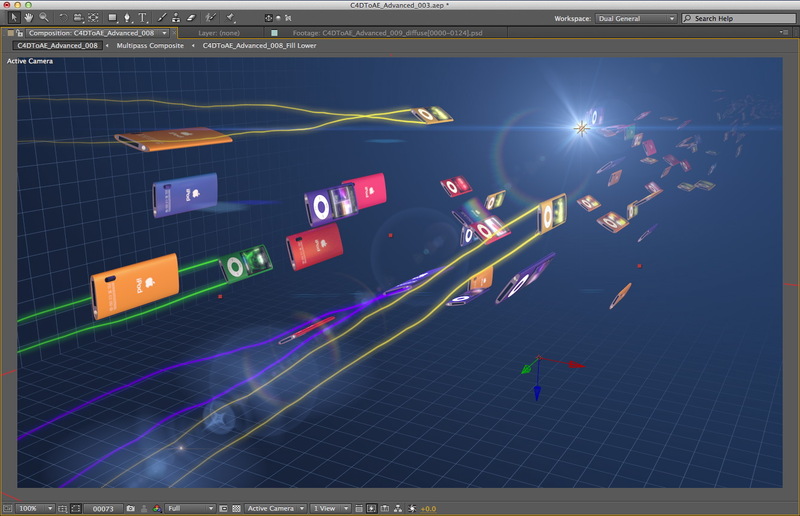 Add a dynamic particle system of spheres which interact with the proxy geometry. Output multipass renders and return to After Effects to composite the render over the original footage. This looks a very nice tutorial, and free is a huge help for everyone. That’s a nice initiative by you and Maxon. I am sure that all of these courses will be as top notch as the rest of your training courses! I can not wait. omg this will be awesome! thank you so much Tim and Maxon! Super amazing as always Mr. Clapham. I’ve been a follower of your work for sometime now and have to say thank you for this amazing informative tutorial. Question: Regarding uploaded tutorials, it appears that there are several parts not uploaded will they be added later? Thanks again for your knowledge and generosity with the C4D community. Awesome, thanks to you and Maxon for another great learning experience. Wow – big thanks to Maxon and Tim. Great insight on a great workflow. You have to define a special Folder on a network shared disk for using Netrender. Usually this won´t be your project folder you are working in. That means after the Netrender you have to copy the results to your project folder. But if you then use the aec file for AE it won´t find the files because it´s not the original place where C4D rendered to. How is your waorkaround to this problem Tim – just relinking the files manually in AE???? Excellent post. I was checking continuously this weblog and I’m impressed! Extremely helpful information particularly the last phase 🙂 I take care of such info much. I was looking for this certain information for a very long time. Thank you and good luck. thanks tim for your contributions to the Cinema 4D crowd. If you ever land in Washington DC I owe some beers! Thanks for making available an excellent tutorial to the Cinema 4D community. Now to make time to get this tutorial set in use and learn more options available in C4D and After Effects (including relevant plug in) covered in this FREE tutorial. Many thanks for all involved to create these videos and mave available the objects/items for download. Really great value!!! Oustanding Post Thank youfor putting a lot of time into that, so others can profit from your knowledge. I have found a useful Ressource that i wantto share with you all, http://www.texturecase.com. A lot of of free textures. “The trouble is that my background image looks like it is stretched vertically so that the garage door and fence solid﻿ doesn’t align up with it. Checked my render settings and they do match the AE comp settings. Not sure what I might be doing wrong. Any tips? @Gabi it sounds as though you either have different resolutions between AE and C4D or the pixel aspect ratio is different. thanks for this post man.. its my 1st time to use MAXC4D i used to vegas pro after effects now i will be able to learn the basic of maxc4d thank you so much.. your very kind! Thanks a lot Tim. You’re one of the best n the world! Wow, thanks a lot 🙂 Youre the man! i love you guys and your efforts! great tutorial! Awesome tutorial guys!! Thanks for putting it all together. I had figure most of it out, and in fact it is better than I expected. Where I am stumped, is the part after the the Flying text, the next couple scenes such as the ribbon stream, going into the world map, the Globe, and then the final Box with the Channel 7 promo. I want to ask you what programs do you think were used to achieve this, and what advice in terms of work flow would be the best approach to achieving this result?. I am guessing it is done with a 3D such as C4D program then brought into After Effects similar to what this tutorial does. I really appreciate you advice and thanks again for the great tutorial. Hey J, you need to include the full link to the reference as I can’t see it with out that. Thanks.